Free radicals? Now I'm no scientist but feel the need to discuss these nasty little critters as they play an important part in our health, or should I say 'poor health'. In very simple terms, free radicals are electron deficient, 'rogue atoms' that attack other atoms and molecules. This can have a disastrous effect upon relative cells causing them to become damaged and start the process of oxidation. Oxidation is what happens to an apple when you cut it open and it starts to turn brown when the oxygen hits it. This could be seen as the first stage of decay. Oxidation is also what happens to certain metals when they rust. addition of oxygen - "a chemical reaction in which oxygen is added to an element or compound"
loss of electrons - "the process of losing electrons from a chemical element or compound". Now, this all seems technical stuff but the bottom line is that this process instigated by free radicals has been linked to all sorts of health problems. Free radicals are also considered to be a foremost enemy, or a result of the aging process. To understand exactly what they are requires a little delving into biochemistry and science. I know it's all boring stuff on the surface but its concept is somewhat interesting I think. How free radicals and their negative effects can be reduced is a somewhat controversial and very interesting question that for me, musters up the concept and potential of slowing down the aging process. Now wouldn't that be something! If you want to miss the technical stuff scroll down to 'oxidation, cell damage and decay'. I apologise in advance for the somewhat scientific description here but to be honest there's no other way really. Until the late 20th century the word 'radical' was apparently used only in chemistry to describe connected groups of atoms which are called molecules. As far as I'm aware, all matter on Earth is made up of atoms with a single strand of human hair consisting of around one million atoms across! Are you serious?! Atoms attach themselves to each other to form molecules by an electrostatic force called a 'chemical bond'. This mutual attraction and attachment of individual atoms is crucial for the formation of molecules. Generally speaking, molecules are minute particles that form the building blocks for 'organic fusion' (synthesis), growth and development and consequently make up most of the natural physical world. Important stuff! Molecules are the potential for chemical substances. These chemical substances are in various forms such as; solid, liquid, gas, or plasma. Some examples of 'pure' chemical substances are; pure water, diamonds (carbon), gold and table salt (sodium chloride). So, atoms connect together in pairs to form groups which form molecules. Molecules in turn form cells. Cells are often called the 'building blocks of life' as they form the basic structure of all plants and animals and therefore everything within the human body too. So, to summarize and look at it another way, cells are formed from molecules, molecules are formed from atoms, and atoms come from pure energy. This energy is the cosmic life-force that is known in Taoist teachings as 'Qi' or 'Chi'. It is also known as 'Prana' in Indian Yogic traditions. Some define this pure energy as the universal spirit or God. This is a more in-depth technical explanation for those interested. It lightens up a bit under the heading 'oxidation, cell damage and decay'. So, trying to keep it as simple as possible but elaborating slightly on the information above, an atom consists of a nucleus (its centre), neutrons (particles with no energetic charge), protons (positively charged particles), and electrons (particles that are negatively charged). The amount of protons that are in an atom affects the amount of electrons that orbit that atom. For an atom to be stable it must have the same number of electrons as protons. The number of protons inside the nucleus varies depending on what chemical element the atom belongs to. The atom has two shells, an inner and an outer shell. These are not hard shells but rather a type of energetic field. Electrons 'orbit' the atom in these shells. The inner shell becomes full when it has the required number of electrons pertaining to its chemical element. Once this is achieved electrons then begin to fill the second shell. The second shell becomes full when it has the same number of electrons as protons in the nucleus of the atom. Once again, for an atom to be stable it must have the same number of electrons in the outer shell as protons inside the nucleus. An important point is an atom's behaviour is influenced by the number of electrons that surround its outer shell. An atom that has a full outer shell (the same number as its protons) is stable and generally does not become affected by chemical reactions. Atoms naturally try to become stable by filling their outer shell with the required number of electrons. They try to do this in two main ways. They will either gain or lose electrons to fill or empty their outer shell to reach the required number of electrons. It is very common for atoms to share electrons with other atoms in order to complete their outer shell to reach a state of stability. By doing so they are bound together to create a stable situation to form what now becomes a molecule. Any number of atoms together creates molecules from which cells are formed. Atoms constantly bond together through chemical bonding to form molecules. These chemical bonds also break apart. This is reflected in the constant physical changes that take place that we see in our body and in nature. Generally speaking though, chemical bonds do not break in a way that leaves an atom or molecule with an odd, unmatched electron. If molecules (groups of atoms) do separate and leave any number of atoms with an odd, unmatched electron, the result is an atom that is missing the required number of electrons for its maximum stability. This is what is known as a free radical. Free radicals are very unstable and react quickly and indifferently with other atoms and molecules. The free radical generally attempts to reach a stable equilibrium once again by 'attacking' and taking the required missing electron from the nearest stable atom or molecule. The problem is, the molecule that has had one of its electrons stolen by the free radical also then becomes unstable and a free radical itself. The situation then becomes like toppling dominoes. Each new free radical then seeks to become stable again and goes looking for stable atoms and molecules to steal electrons from, making those atoms or molecules unstable in the process and therefore free radicals too. This process continues and eventually results in the disruption of a cell. As we have seen in the English dictionary, oxidation means 'a chemical reaction in which oxygen is added to an element or compound' also, 'the process of losing electrons from a chemical element or compound'. The English thesaurus also offers 'corrosion'. This is very true as aging could be seen as a form of corrosion which is also linked to free radicals. As we have said, oxidation occurs when oxygen comes into contact with other chemicals and substances which cause them to lose one or more electrons. 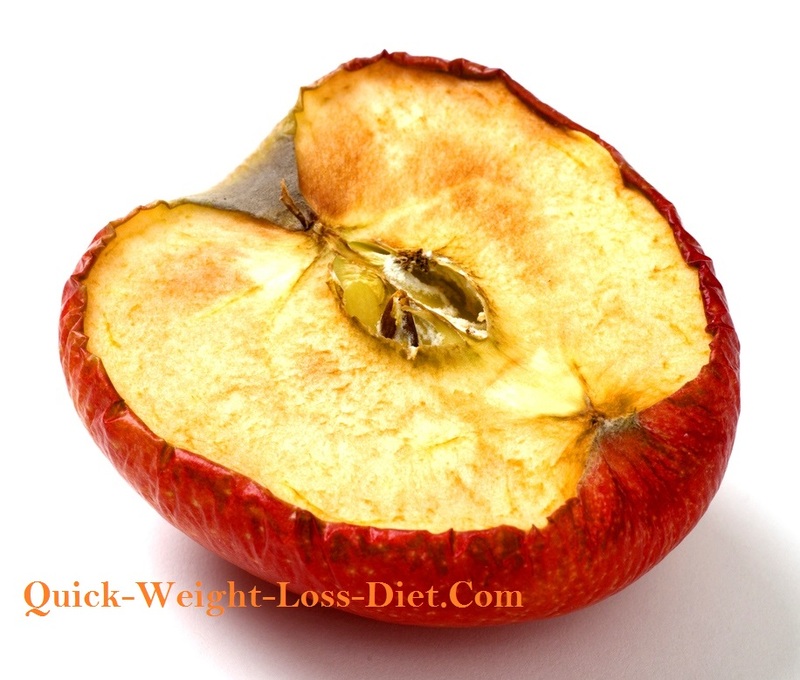 When we cut an apple open, the white flesh starts to turn brown within minutes. This is oxidation. The oxygen comes into contact with the once protected apple flesh which basically starts a reaction which will ultimately end in the decay of the fruit. This happens to all cells in the natural world from fruit to plants to flesh, as well as the cells that make up our physical bodies. Cell damage is often significant with cellular membranes, proteins, lipids with cell DNA badly affected. If a cell’s DNA is damaged it can cause the cell to malfunction and possibly reproduce in an abnormal way. It is thought that some forms of cancer are a result of this type of damage? Let's not forget that some free radicals are in fact required and utilised in certain biological functions within the body. Our immune system for example actually manufactures free radicals to attack unwanted bacteria and viruses. These types of radicals are necessary for the healthy functioning of our body. Under normal, healthy conditions the body is able to cope with free radicals if anti-oxidants are available. If antioxidants are unavailable though, or if free-radical production becomes too great, then cell damage is likely to occur. Free radical damage accumulates and accelerates with age. Other factors that influence the formation of free radicals are environmental stresses such as; atmospheric pollution, solar radiation, drugs (recreational and medical), cigarette smoke, alcohol and food additives of which there are many in most foods and drinks that you’re likely to eat. Other chemicals in many guises such as pesticides, household sprays including; polishes, cleaners, insect repellents, perfumes, deodorizers and antiperspirants can also have an effect upon our bodies if we're exposed to them too much. How to Reduce Free Radicals? Based on all the information given above, the only real solution to reduce the potential of these nasty little critters from developing, taking hold and running throughout our body causing chaos is simply to live as clean a life as possible. OK, bear with me here, but in a nutshell, eat a cleaner, healthier diet that is high in natural antioxidants, do not drink alcohol, do not smoke cigarettes or anything else, eat only organic produce, drink only filtered water and natural, fresh pressed juices that are high in natural antioxidants. Also, don't take drugs unless advised to do so by your doctor or a qualified medical adviser, and, stay out of the sun unless you apply a sun-block to the skin. Also, practice Yoga, Tai Chi and other deep breathing exercises as discussed further down under the heading 'other exercise methods'. Yes, I know, this all seems so strict and unpractical, but I'm just stating the ideal here that would greatly reduce the formation and development of these rogue atoms and their harmful effects upon our bodies. The point is, you can at least make a start somewhere. 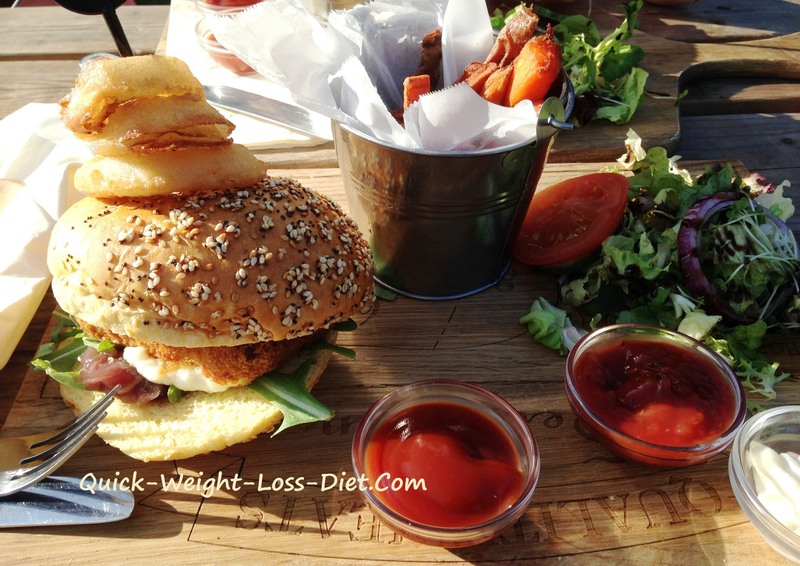 Make a small change to your existing diet and lifestyle today and build upon it. You never know, in time it may be easier than it seems right now. Antioxidants are nature's way of 'mopping up' free radicals. Although the body naturally produces a certain amount of antioxidants for self-maintenance, we can also give Mother Nature a helping hand and help ourselves in the process by cleaning up our act a bit. Start a healthy diet that is rich in fruits and vegetables and start to eat less junk food. This will almost certainly reduce the development of free radicals and their harmful effects on our bodies. 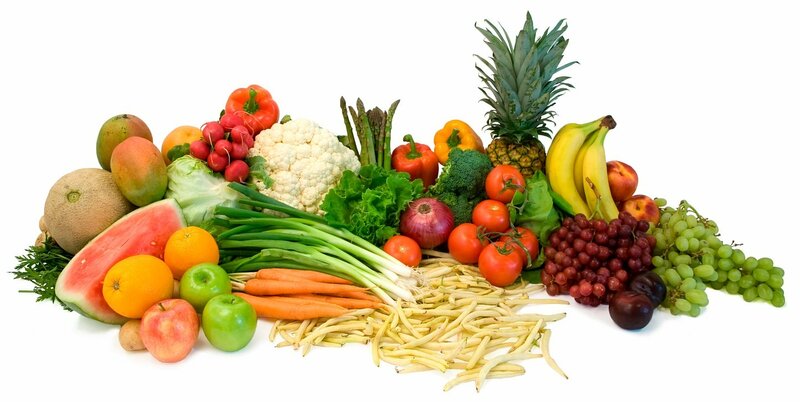 Foods such as fresh fruit and vegetables that contain antioxidants like beta-carotene are all helpful. Fresh fruit and vegetable juices are a great way to get antioxidants as well as a good supply of vitamins and minerals. Note: In some cases too much exercise has been seen to increase free radical production within the body and therefore should be avoided. I have personally participated in many different sports from a very early age spanning some forty years (40). I know for a fact that it is not good practice to break the body down by doing too much. Like everything, exercise should be performed in a moderate and sensible way so as to experience light to moderate exertion. This is the key to a healthy exercise routine. Take your time and build up slowly! We are constantly advised through the media, health experts and doctors etc. to participate in regular exercise of some sort or another and with good reason. It is scientifically proven that people who exercise on a regular basis significantly reduce their chances of experiencing various medical conditions such as heart disease, diabetes, stroke and even some forms of cancer. Exercise raises the heart rate and speeds up the movement of blood through our arteries and veins. This helps to induce a mild detoxification process by flushing the arteries and veins with blood. In addition to this is the increase in respiration that opens up the chest and forces more oxygen into the lungs and the entire system. This also helps to gently detoxify the system by gently pushing toxins out of the tissues. Sweating opens the pores of the skin. The skin is the largest organ of your body and sweating encourages a gentle detox by allowing toxins to escape the system through the pores. The North American Indians used sweat boxes for this purpose. I believe the best forms of conventional exercise for newcomers or for overweight people are; walking, cycling and swimming. These three forms of exercise place the least amount of stress on joints while still increasing the heart rate. Other methods that can help to significantly reduce the formation and development of free radicals, especially when combined with a healthy eating routine, are what I like to call... 'natural old ways'. This is something that I believe in along with tens of thousands of others but it has not necessarily been proven from a scientific point of view as far as I'm aware. These types of exercises are what I believe to be the 'true' and most effective forms of exercise available to humans and are, like all things, something you feel drawn to or you do not. Such methods include Tai Chi, Yoga and deep breathing exercises. These practices are thousands of years old and by standing such a long test of time surely proves their merit. I have practiced these 'internal exercises' on and off for many years and experience a greater sense of well-being during the times I practice them for any length of time, so I know they hold 'truth' in their teachings and principles. What is also very interesting is the types of diets that were eaten by the people that lived these ways. They could be seen as macrobiotic and often vegetarian too. They would have contained a lot of vegetables and fruits also. This says a lot I think especially as these types of people used to live to a 'ripe old age'. I believe that if you were to combine the above daily practices with a clean, healthy, natural diet, along with moderate physical exercise, you could go a very long way in reducing the formation and development of free radicals and their harmful effects within your body, which I truly believe, would add years to your life!